Anita has worked extensively in TV and theatre. On screen, her recent credits include; Lady Binkie in VANITY FAIR (ITV), 2 x episodes of THE INTERCEPTOR (BBC), HUMANS (Kudos for Channel 4), DOCTORS (BBC), HOLBY CITY (BBC), PHONE SHOP (Retort for E4), CORONATION STREET (ITV) and DCI BANKS (ITV). 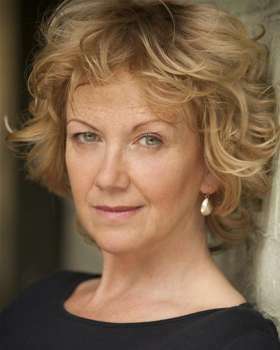 Her numerous stage credits include a season at the Royal Shakespeare company, TWELFTH NIGHT (National Tour), TO KILL A MOCKINGBIRD (Birmingham Rep/WYP), EVERYBODY LOVES A WINNER (Manchester Royal Exchange) and most recently THE ENTERTAINER with the Kenneth Branagh Theatre Company at the Garrick Theatre, West End.